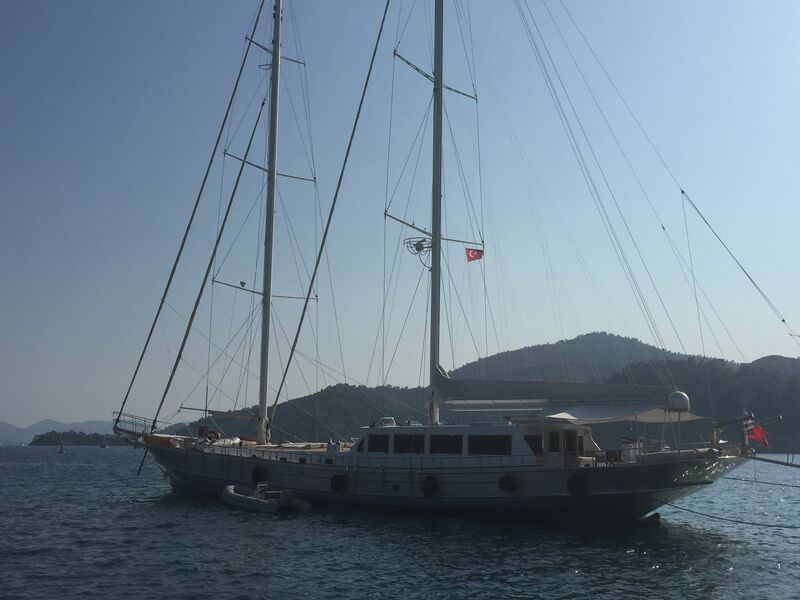 Built in 2007 by Bodrum Neta Shipyard, Sailing yacht WHITE SOUL measures 38m (124,8ft), and offers accommodation in 5 double cabins, for up to 10 charter guests. 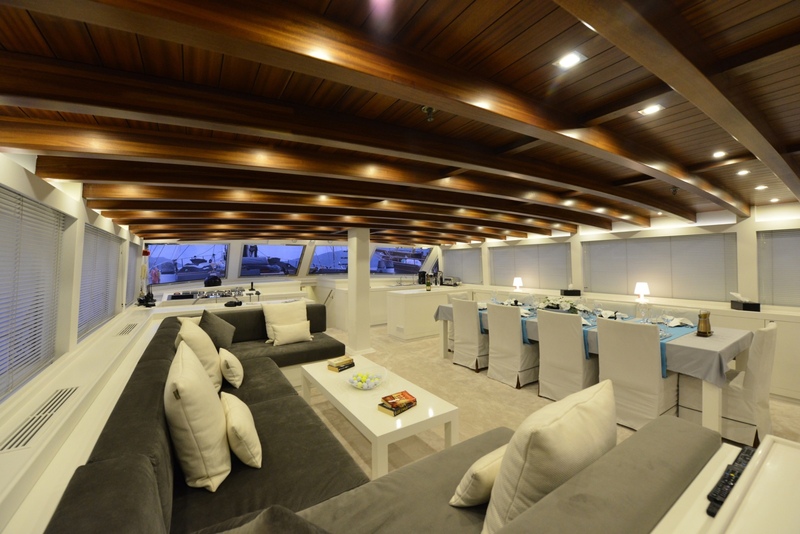 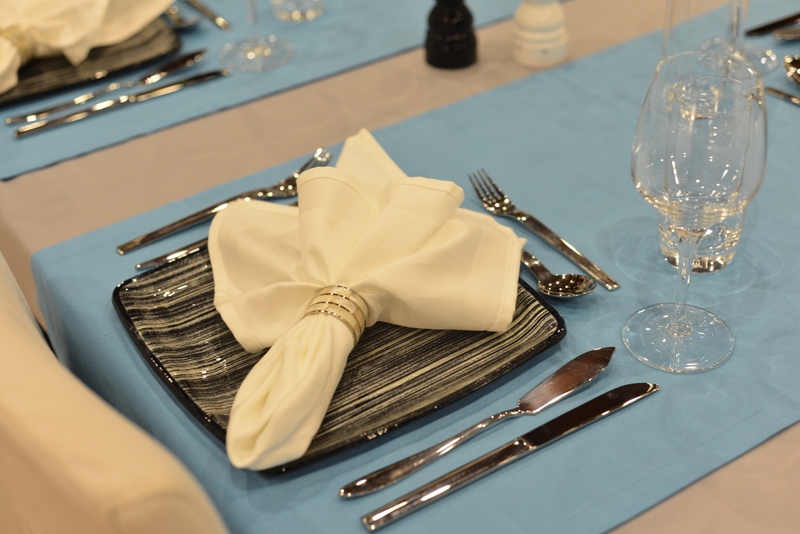 The yacht's interior is light and bright, with contemporary white finishes, creating an elegant relaxed atmosphere. 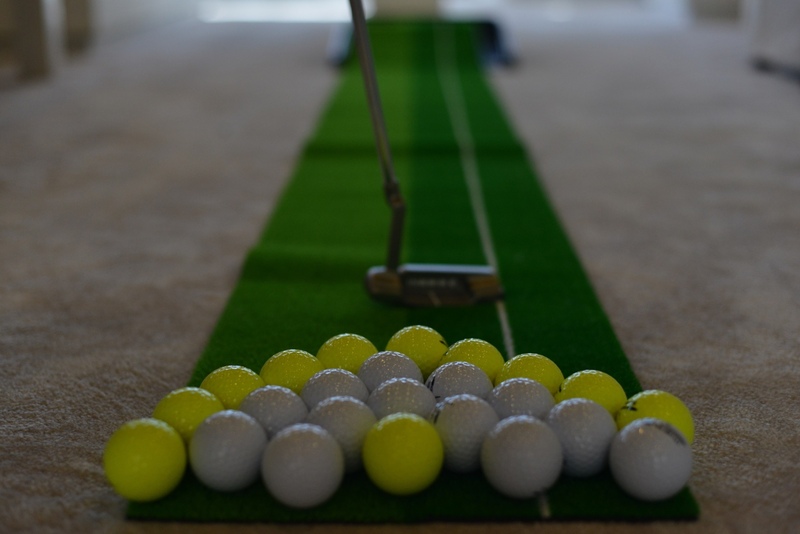 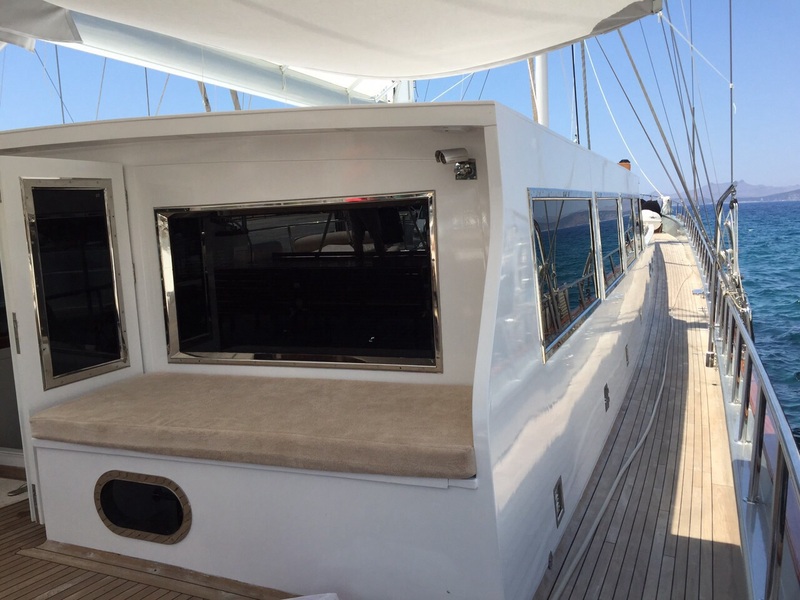 The salon and dinging is situated on the main deck, surrounded by large windows, allowing for ample natural light. 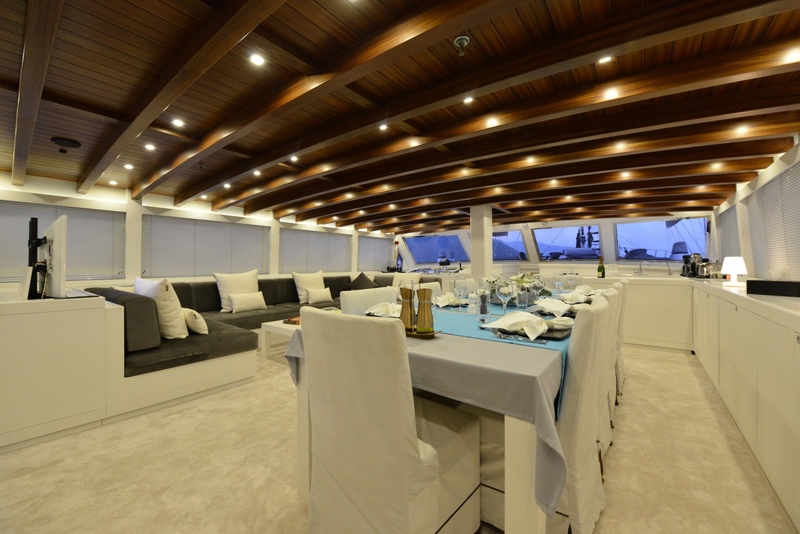 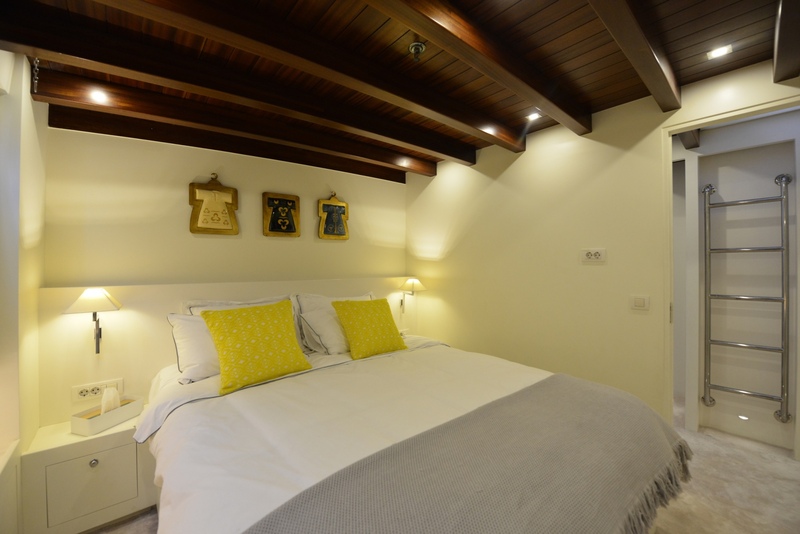 Below decks, there are 5 guest cabins, comprising a master stateroom and 4 double suites, each with private facilities. 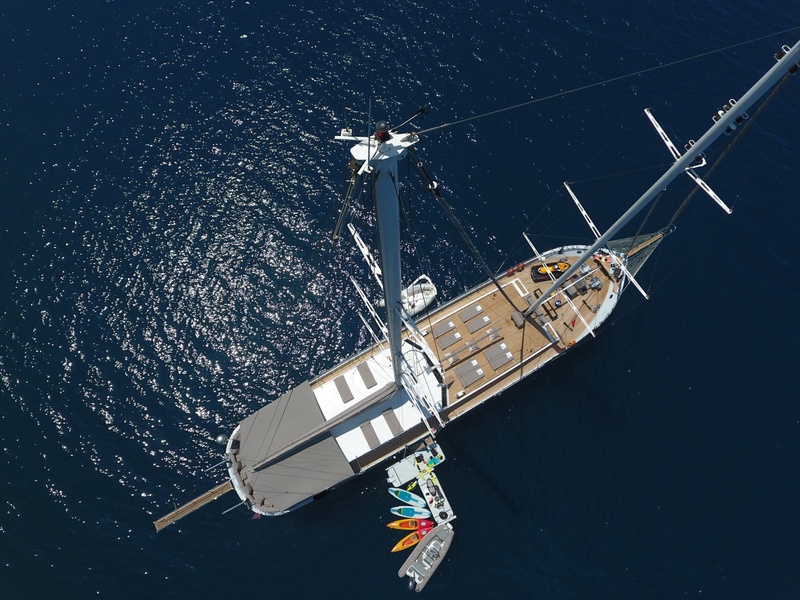 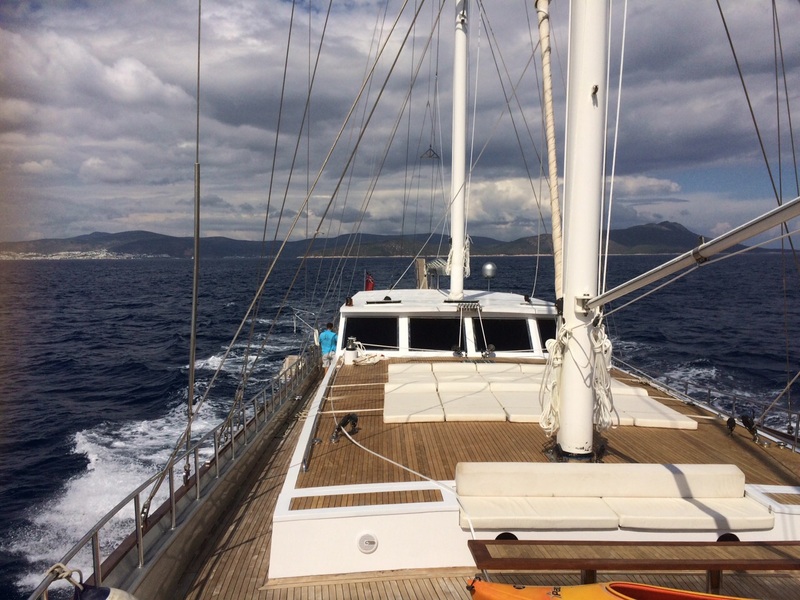 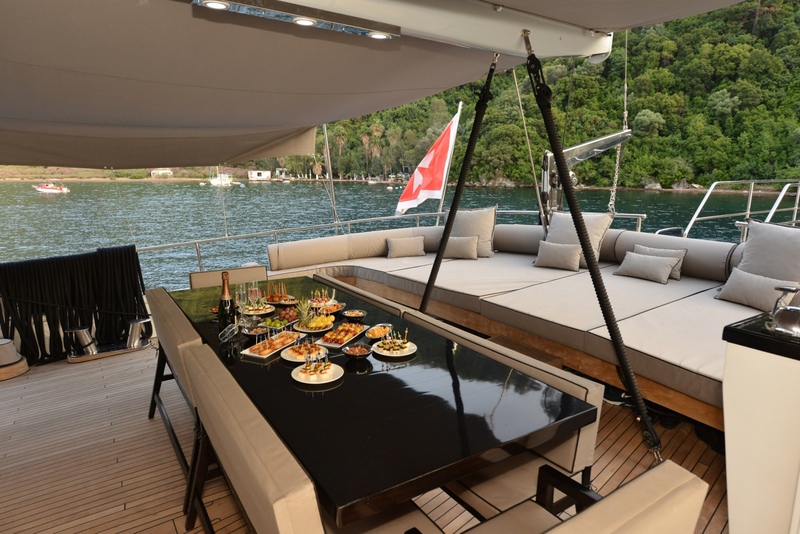 On deck charter guests will find a lovely shaded aft area, with full beam seating arrangement and alfresco dining. 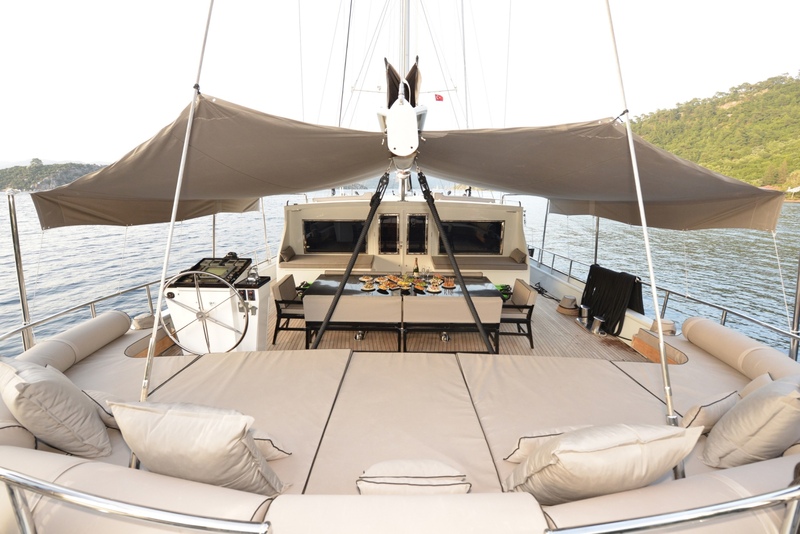 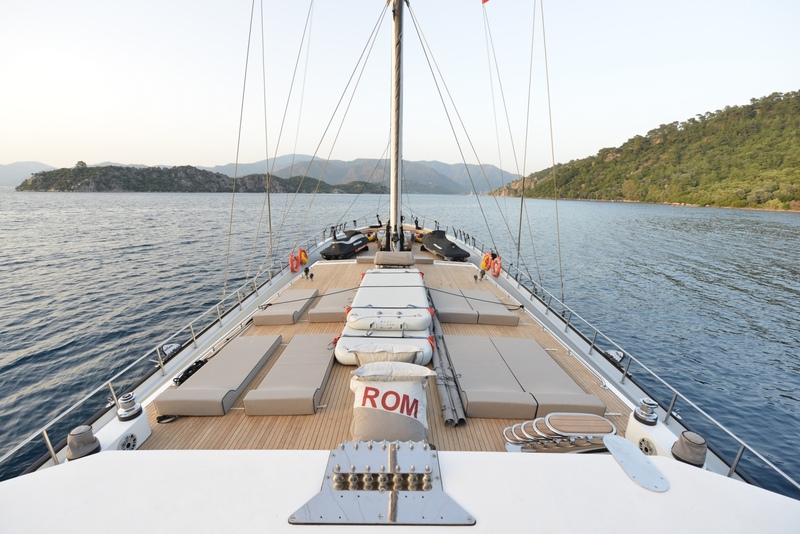 Her foredeck is ideal for lounging, offering numerous sunpads and sitting areas to choose from. 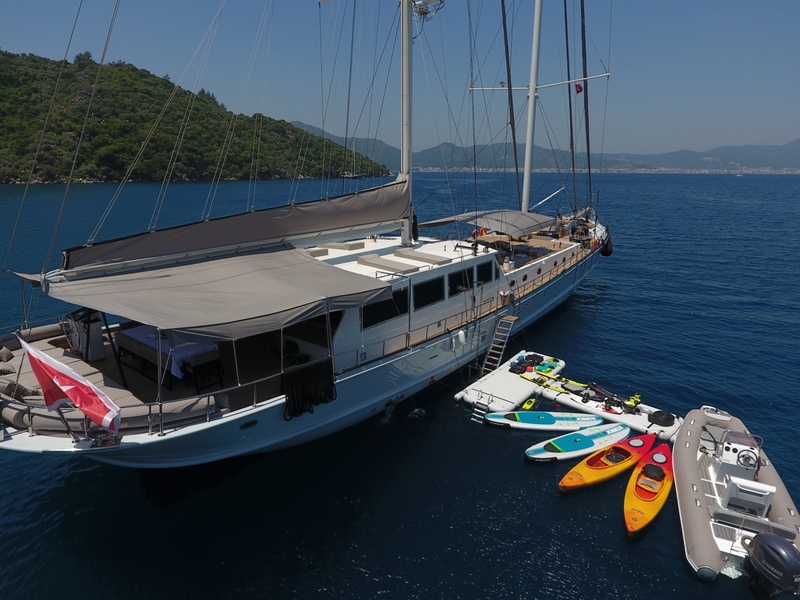 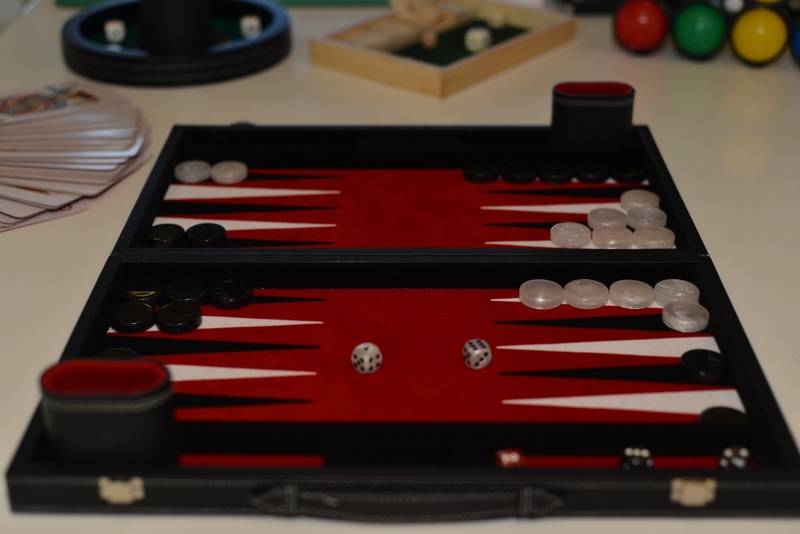 For the water enthusiasts, a myriad of water toys are on offer, equally, there is a vast selection of onboard games and entertainment systems. 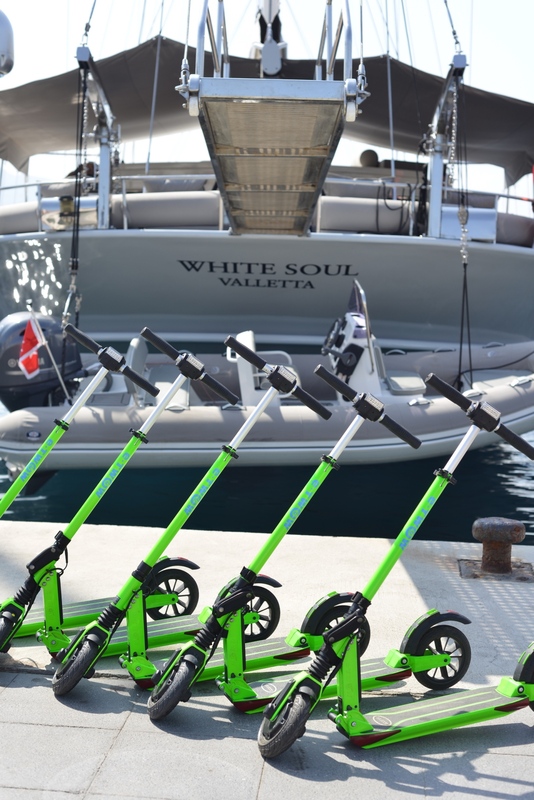 WHITE SOUL is fitted with twin MAN 440hp engines, capable of 10 - 12 knots. 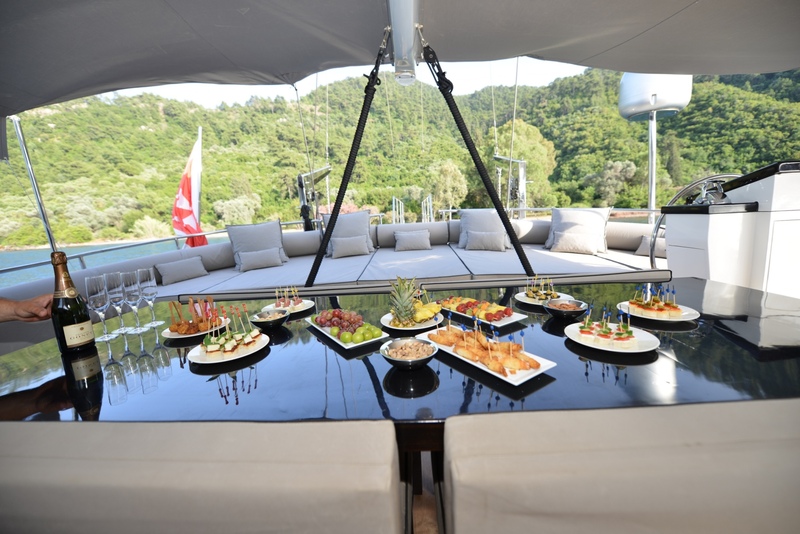 White Soul is furnished by 5 wide double cabins (1 master cabin, 2 vip cabins, 2 guest cabins) for 10 guests totally. 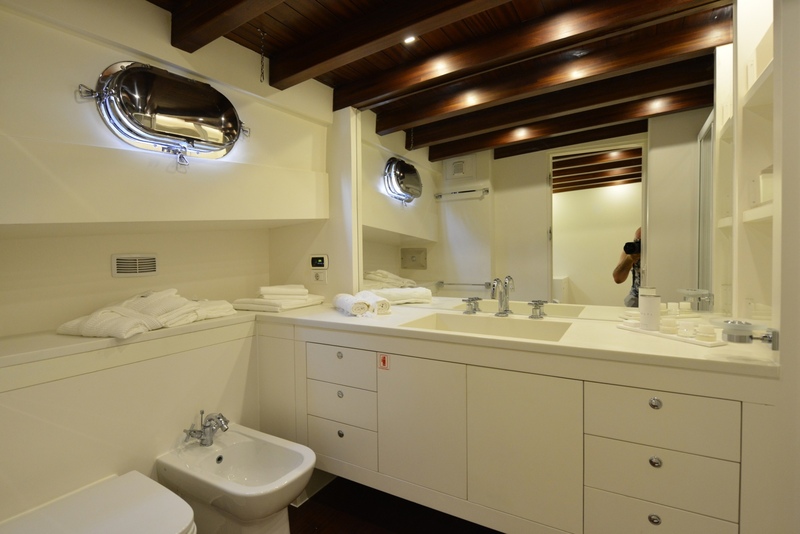 Each cabins has its own bathroom with a big shower, plasma TV and AC. 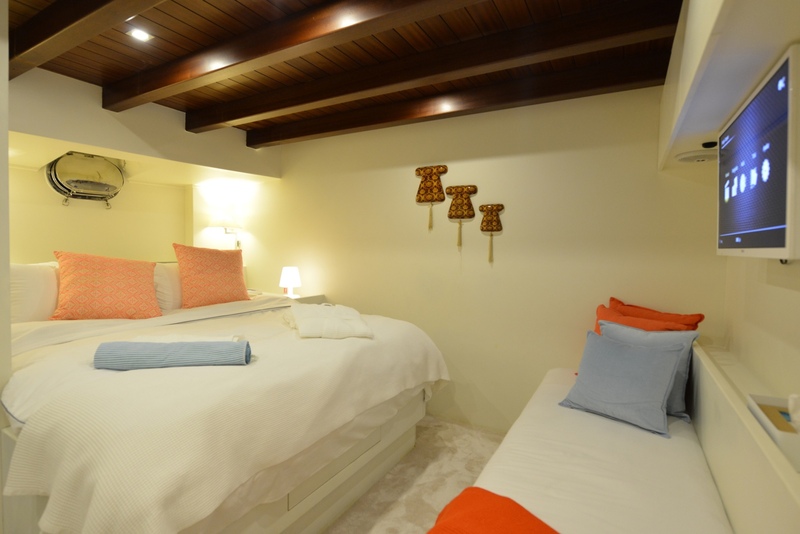 The master cabin includes also a separate walk-in closet for guests maximum comfort. 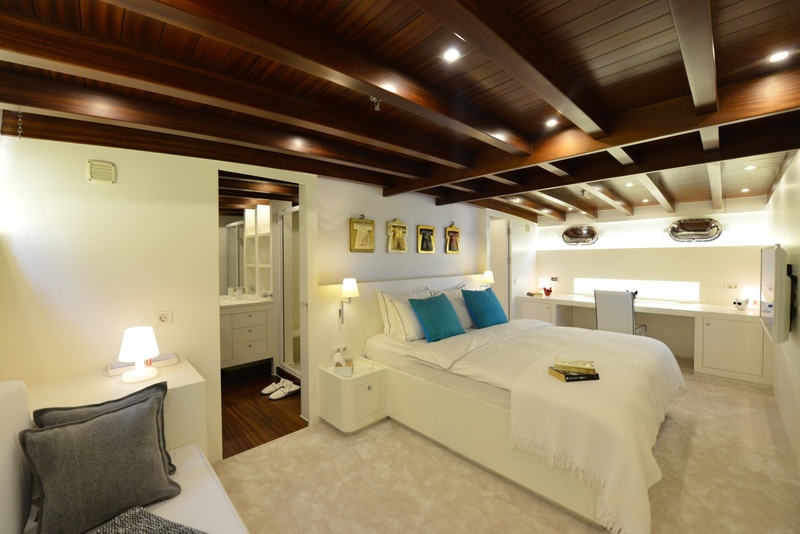 A spacious salon with a deep seatings comfortable sofa and a big table make of the living area a maximum comfort space. 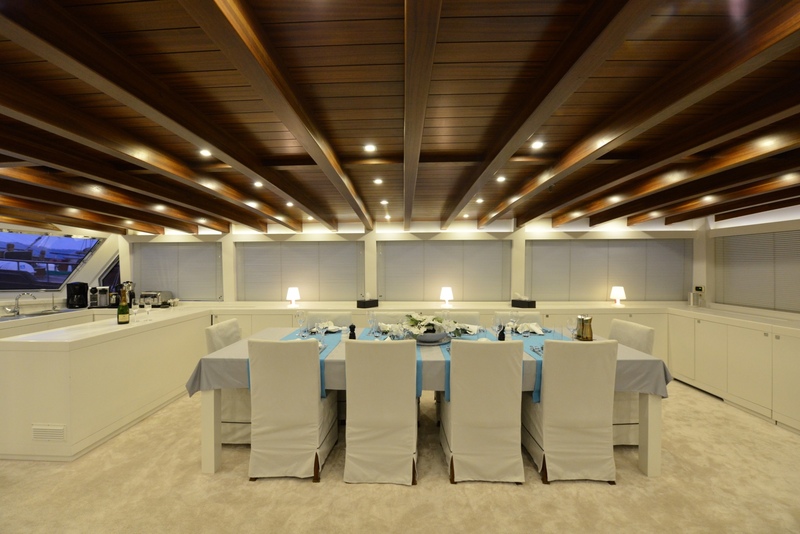 Furnished by plasma TV and home theatre system, the wide living room has all amenities.